Train enthusiast Francis Humphreys took his last breath while relatives and neighbors visited downstairs. But if everyone was downstairs, who could have stolen into Uncle Francis’s study, killed him, and escaped? 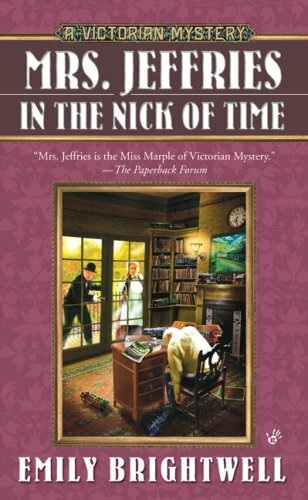 Mrs. Jeffries will have to lend her downstairs common sense to this upstairs murder mystery. Looking forward to this one - #25 in this series. This one dragged a bit for me and I had a difficult time keeping everyone straight. The pace picked up towards the end though. I do like the characters in this series.